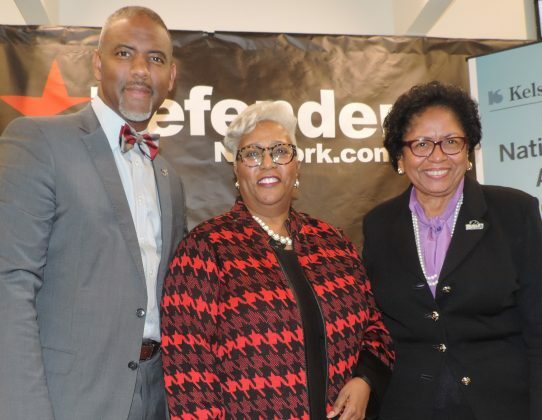 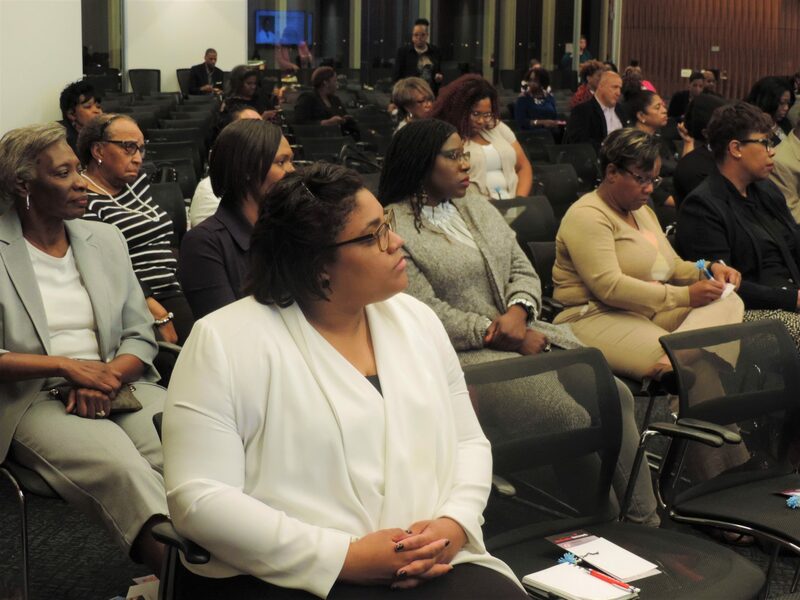 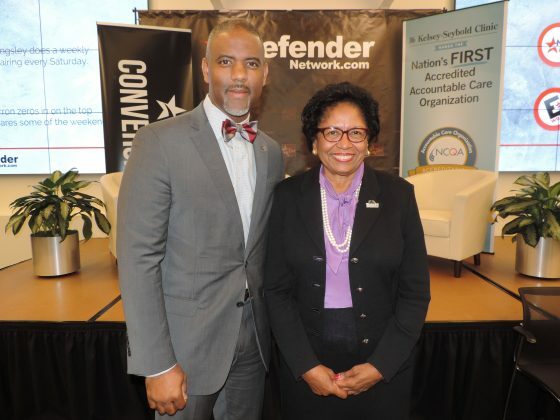 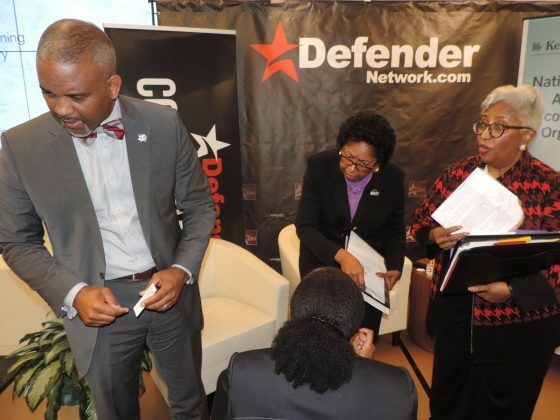 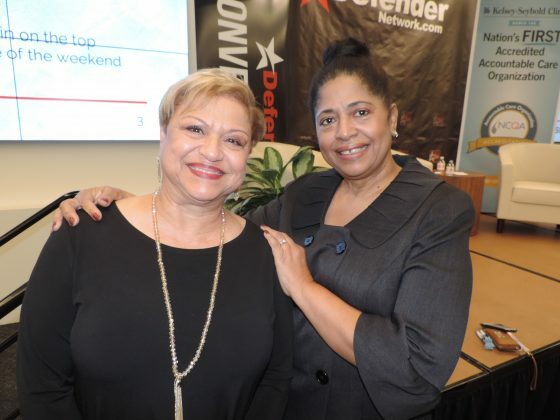 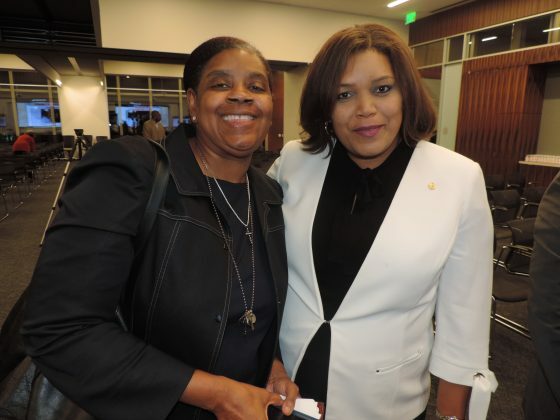 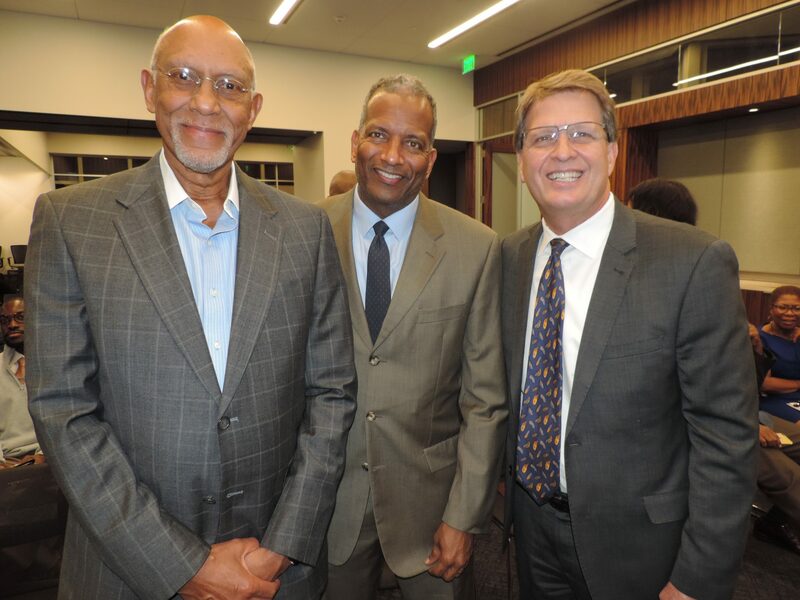 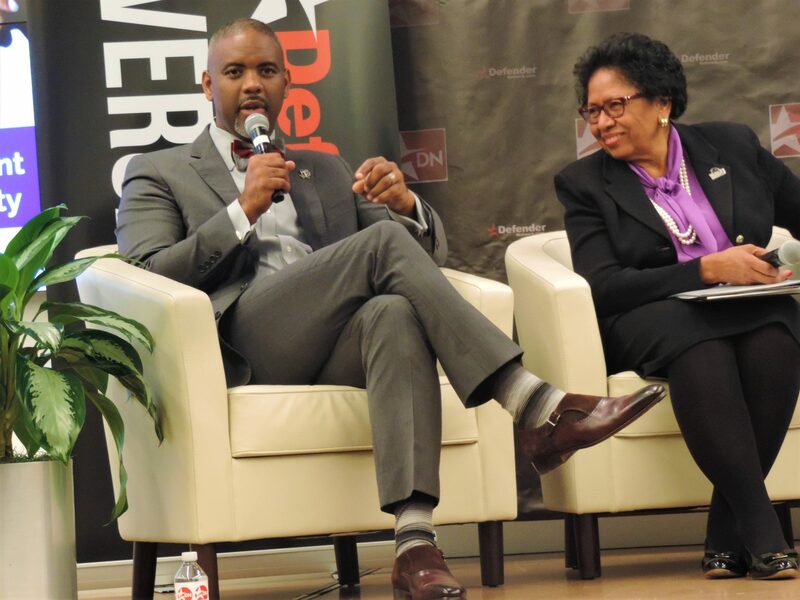 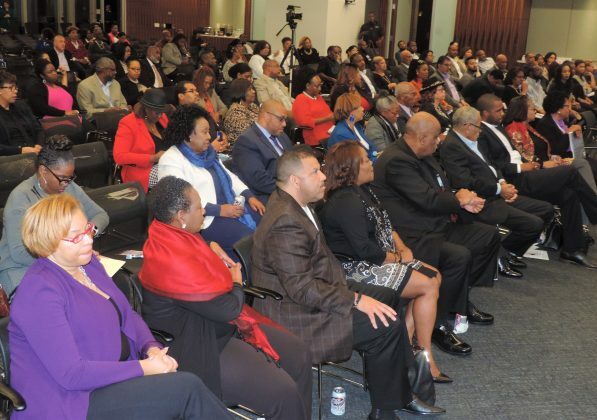 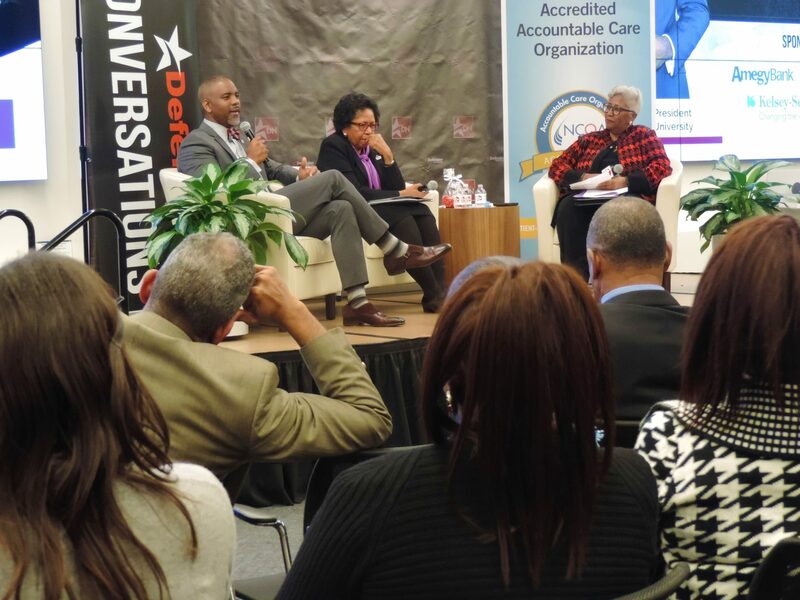 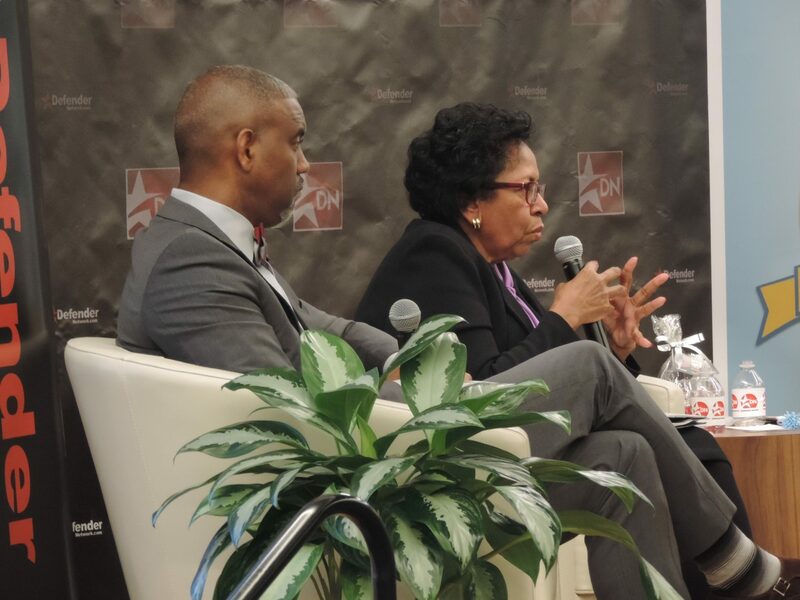 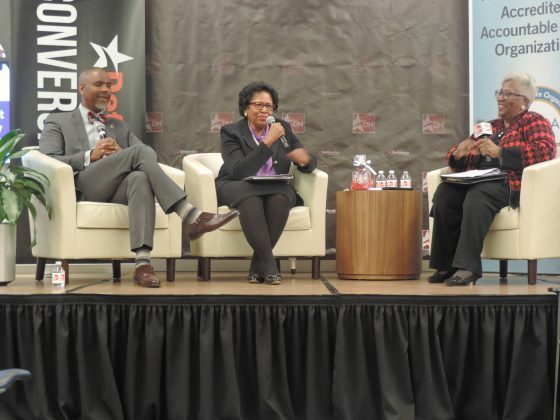 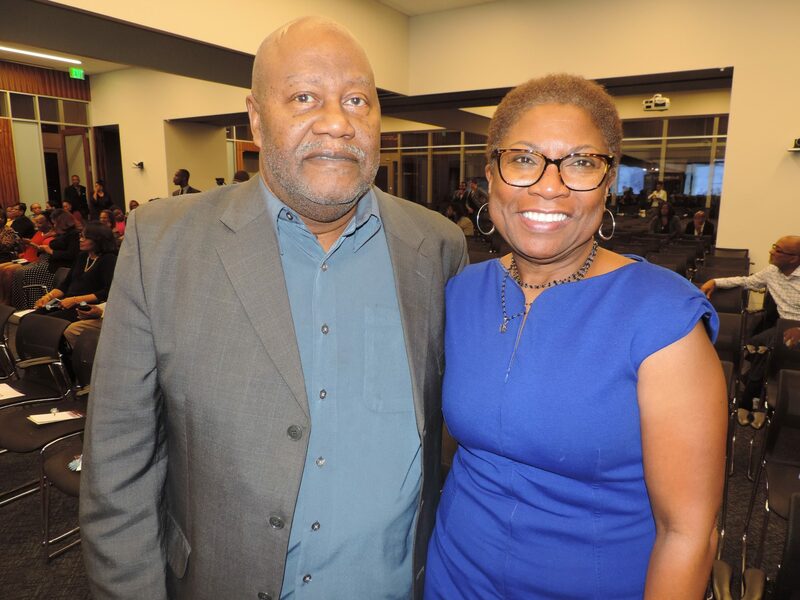 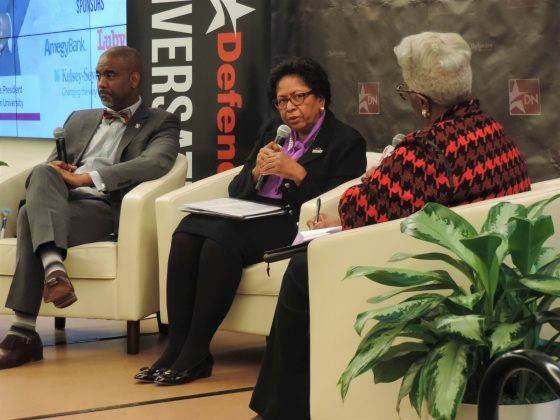 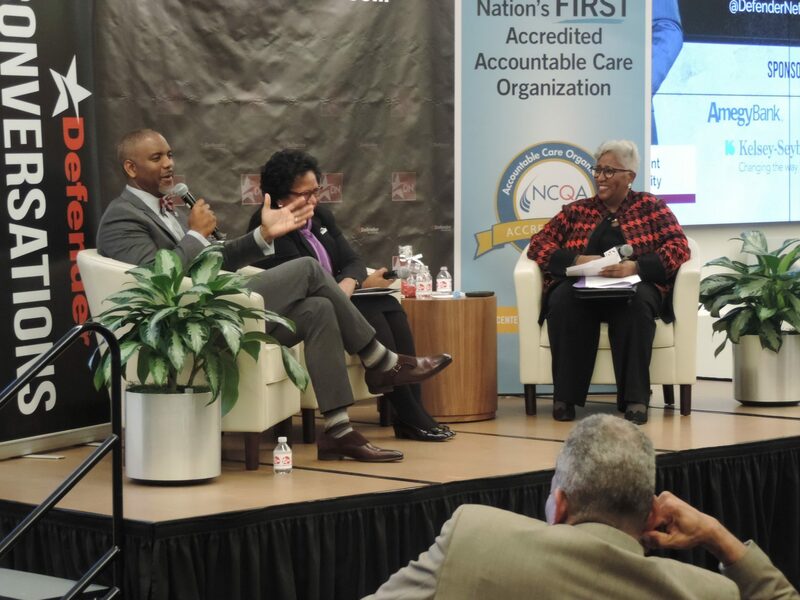 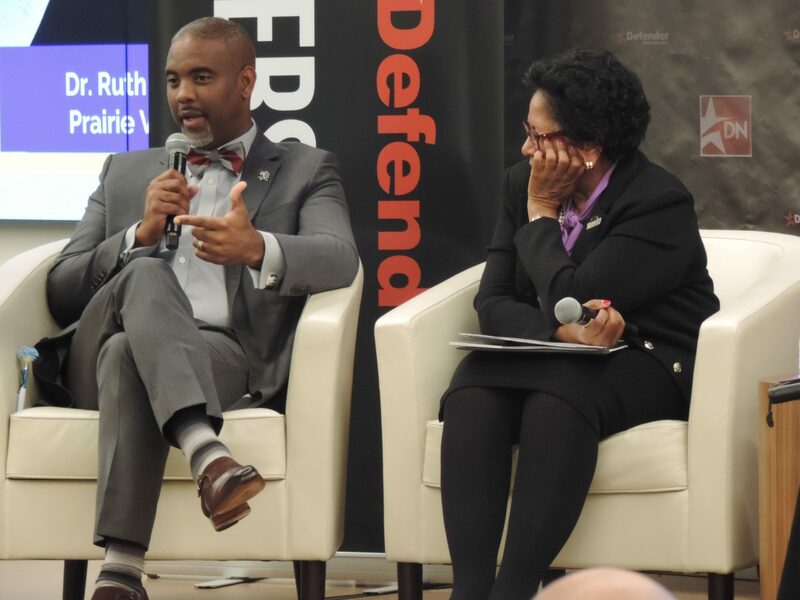 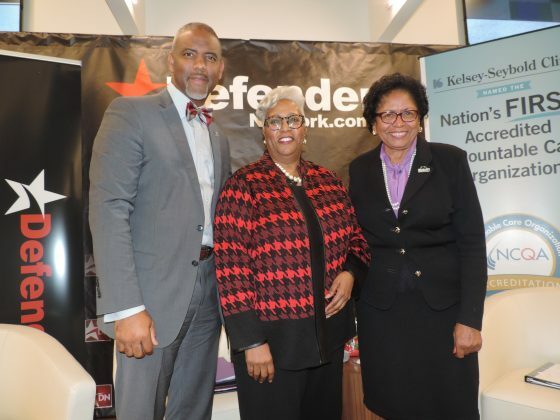 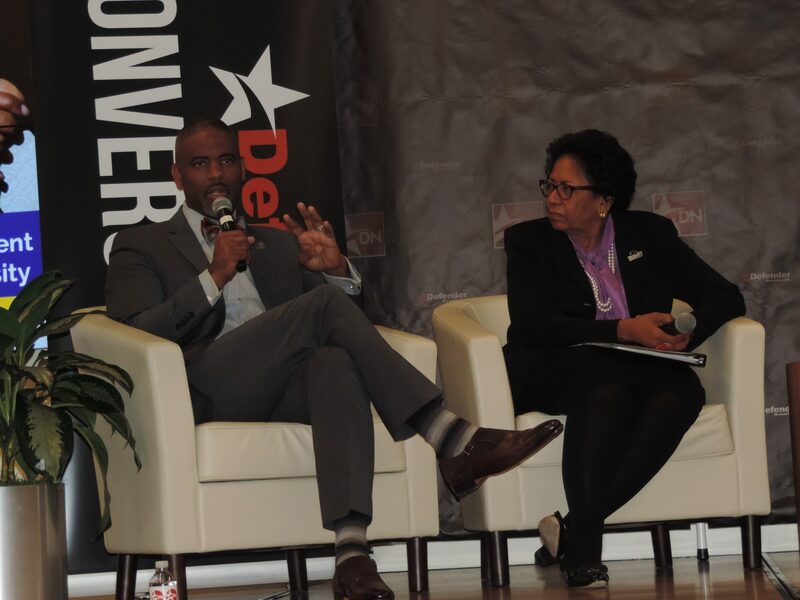 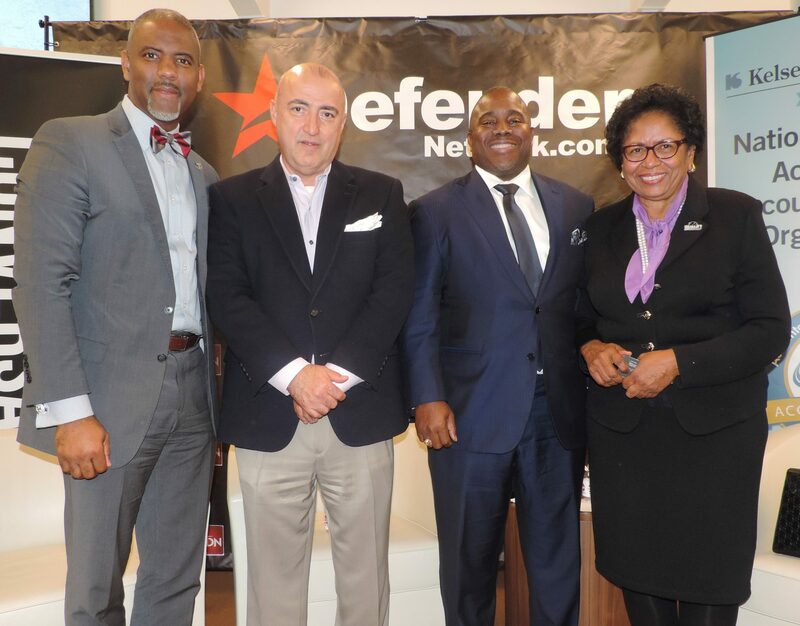 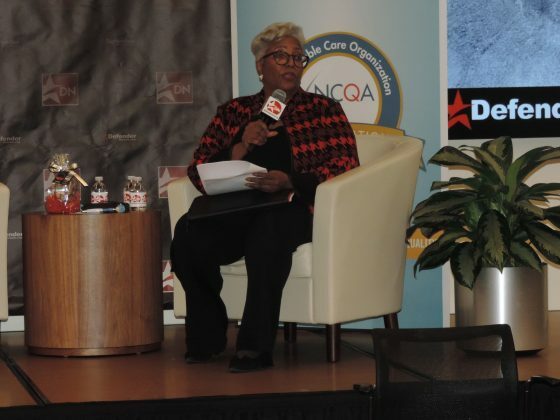 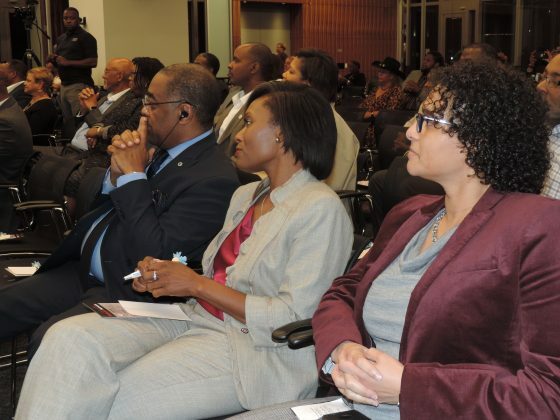 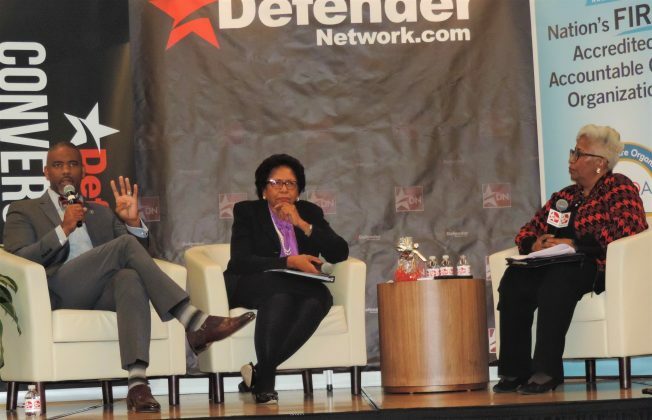 The Defender Conversations series continued recently with Conversation with HBCU Presidents, an engaging discussion featuring Prairie View A & M University President Dr. Ruth Simmons and Texas Southern University President Dr. Austin Lane. 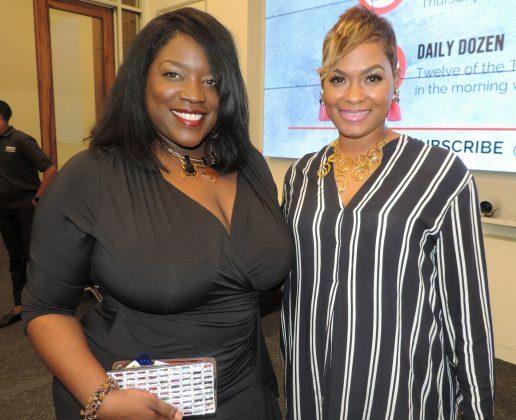 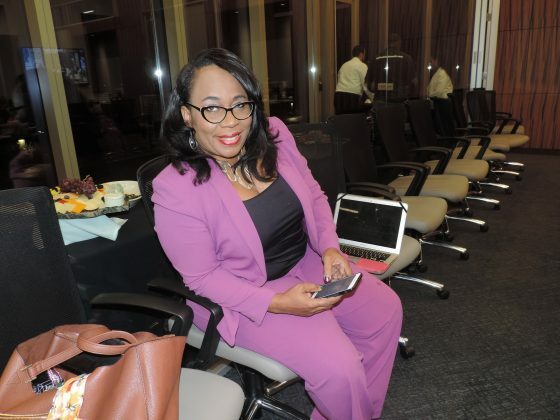 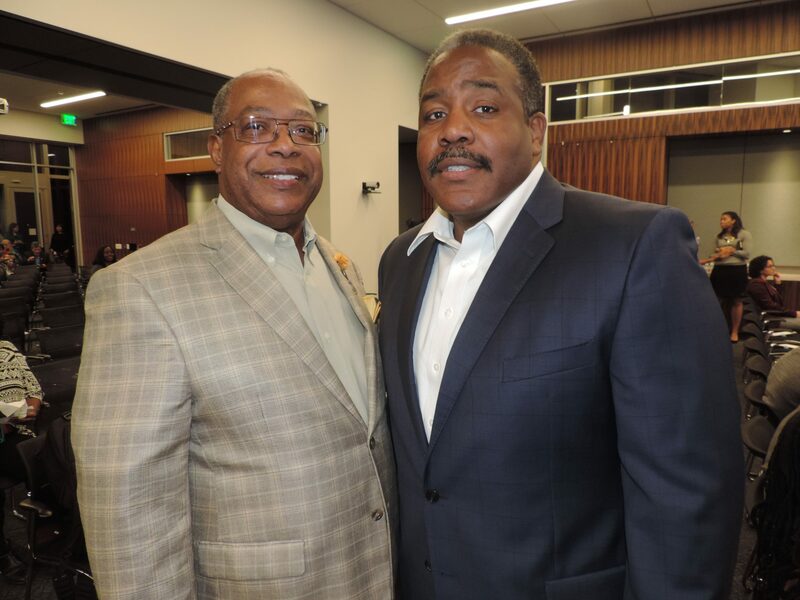 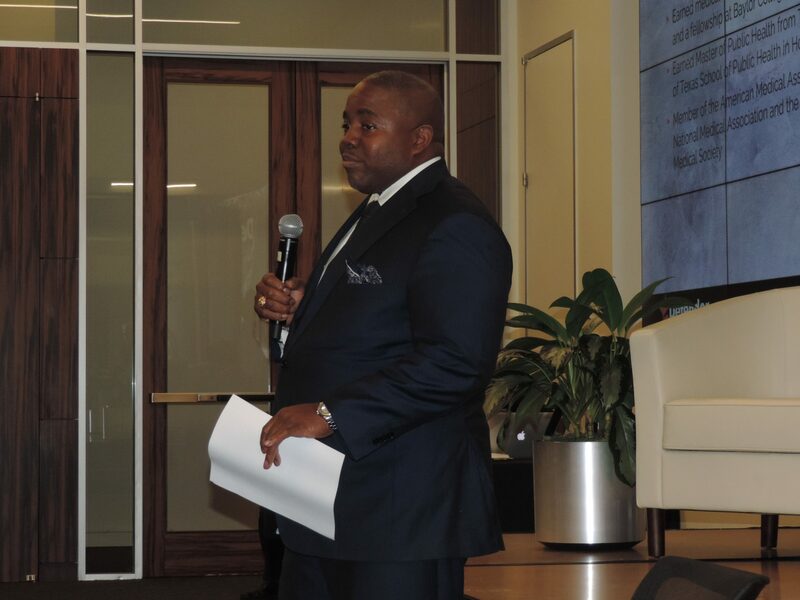 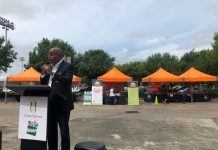 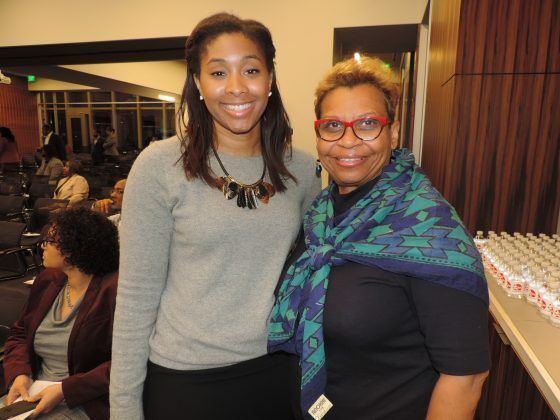 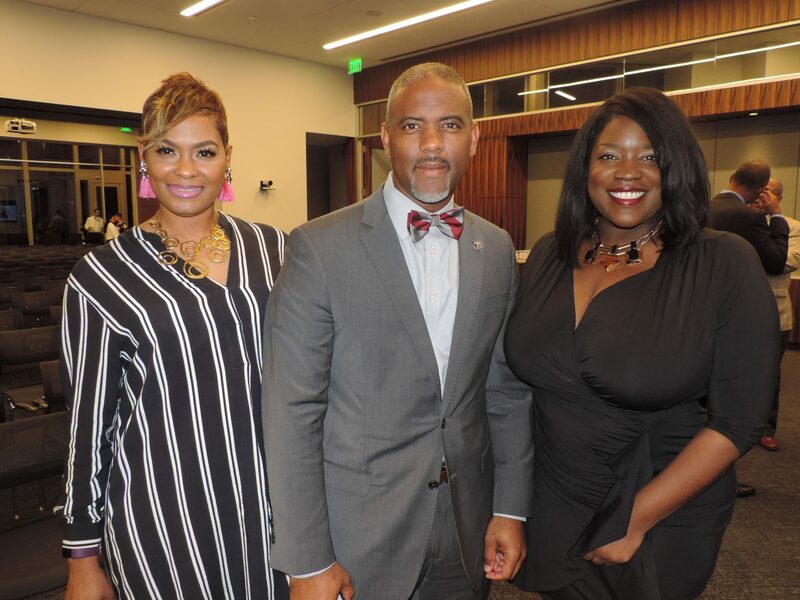 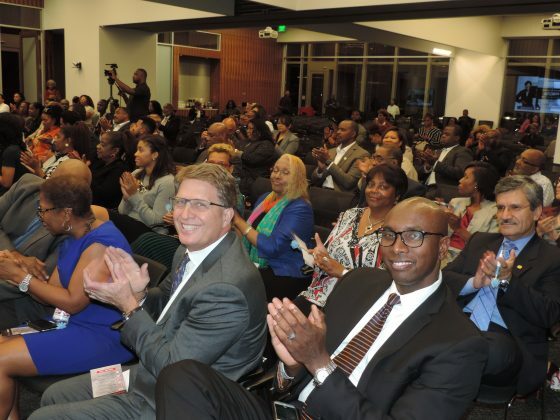 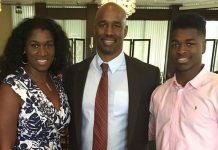 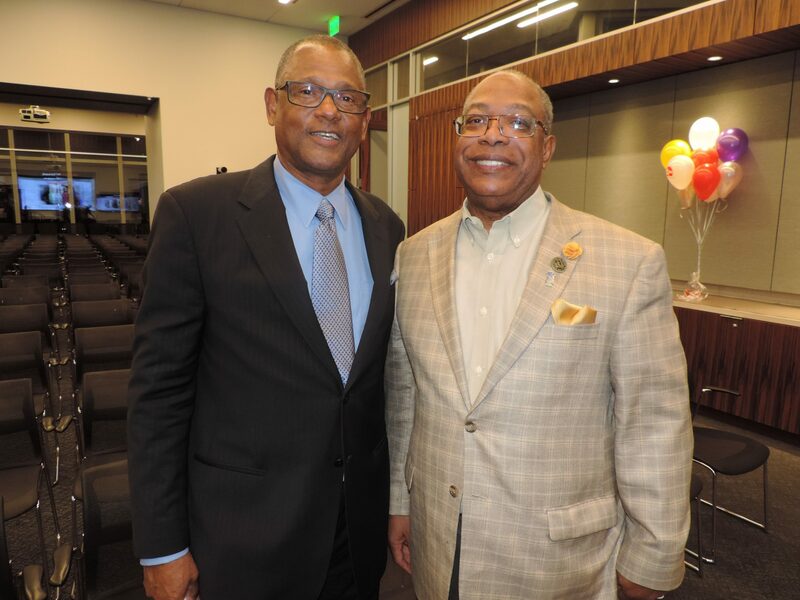 The event, sponsored by Amegy Bank, Kelsey Seybold Clinic and Luby's Fuddruckers Restaurants, focused on the opportunities and challenges facing HBCUs. The Defender Conversations series continued recently with Conversation with HBCU Presidents, an engaging discussion featuring Prairie View A & M University President Dr. Ruth Simmons and Texas Southern University President Dr. Austin Lane. 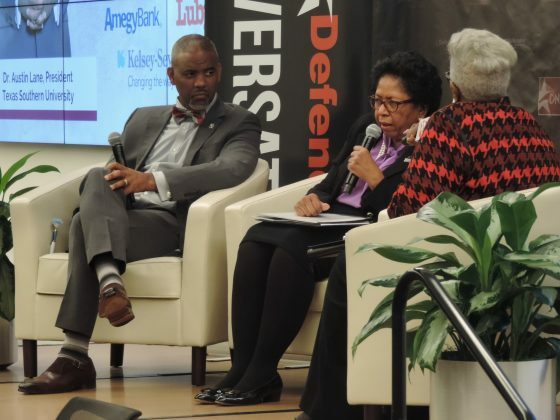 The event, sponsored by Amegy Bank, Kelsey Seybold Clinic and Luby’s Fuddruckers Restaurants, focused on the opportunities and challenges facing HBCUs. 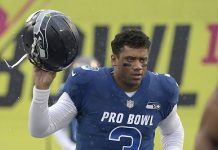 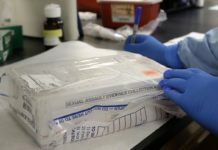 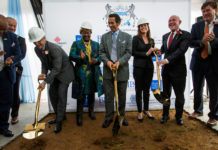 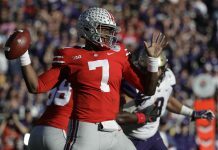 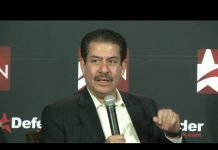 Among the myriad of topics discussed, the need for the two institutions, long-time rivals in sports, to work together on academic and research projects for the benefit of college-going students in general was an idea embraced by both leaders. 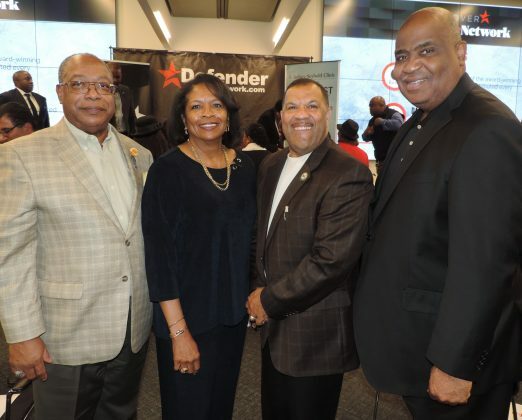 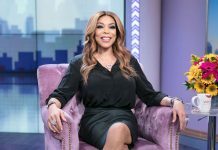 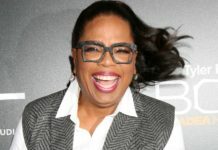 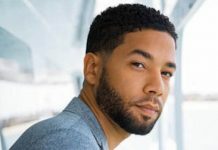 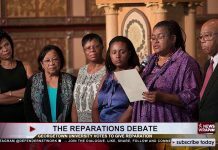 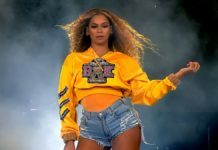 Each president had the opportunity to brag about the stellar, groundbreaking initiatives taking place on their campuses which underscored the call from attendees for HBCUs in generals, and TSU and PVAMU specifically, to do a better job promoting said programs and outstanding faculty members. 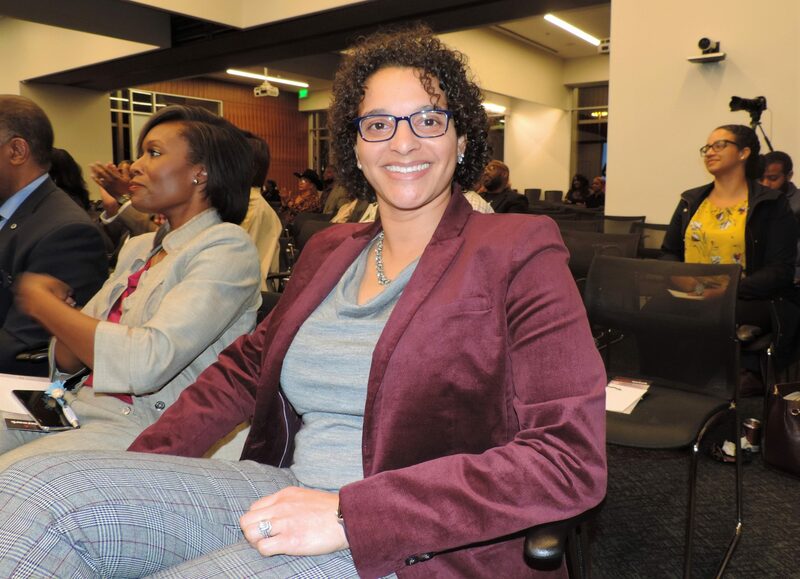 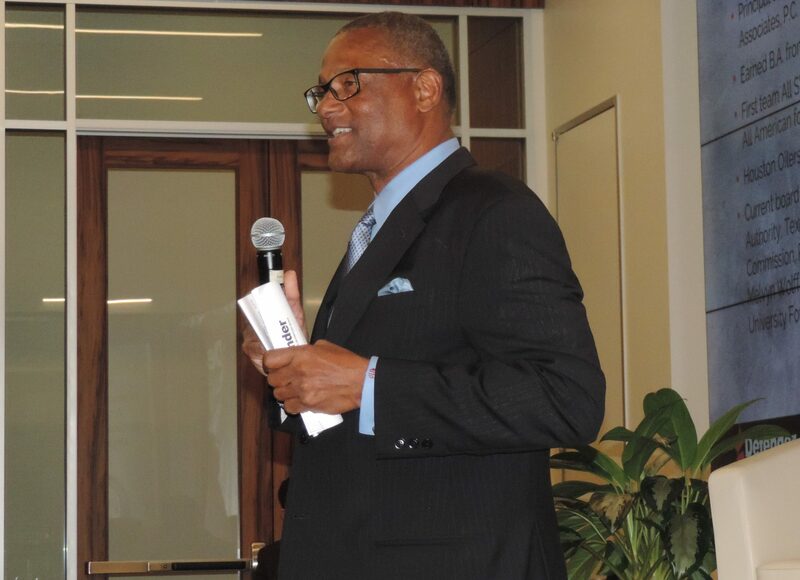 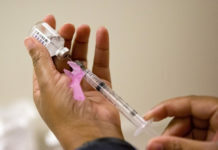 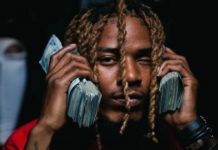 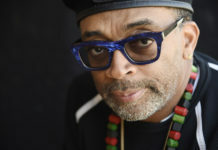 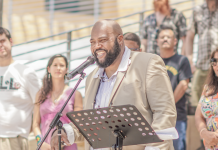 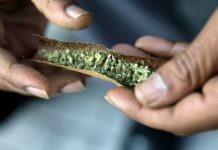 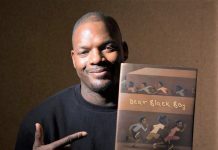 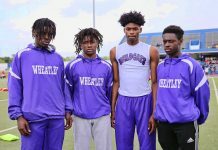 Other topics included 2019 State Legislative agendas, the incredible yet under-told story of the impact of HBCUs, the pros and cons of being an independent institution versus being part of a university systems, and much more. 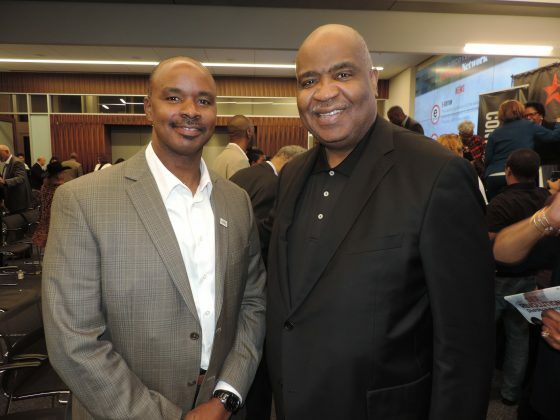 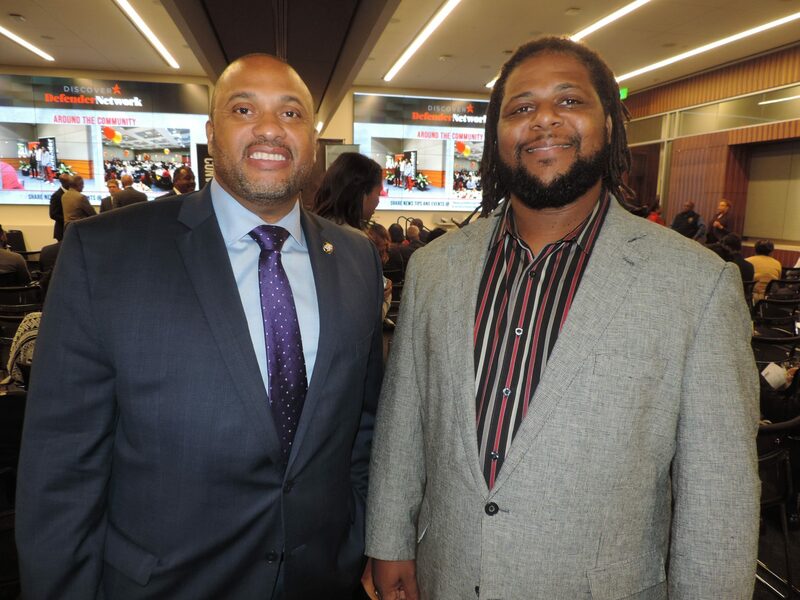 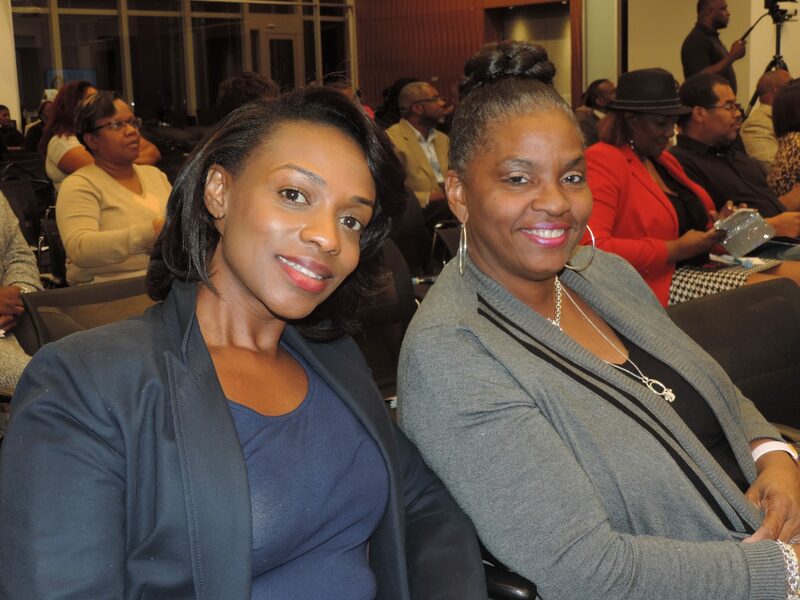 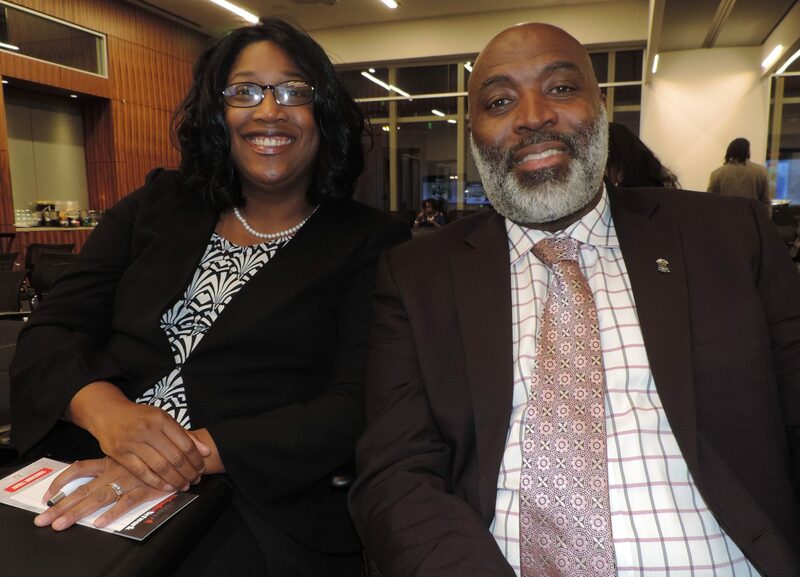 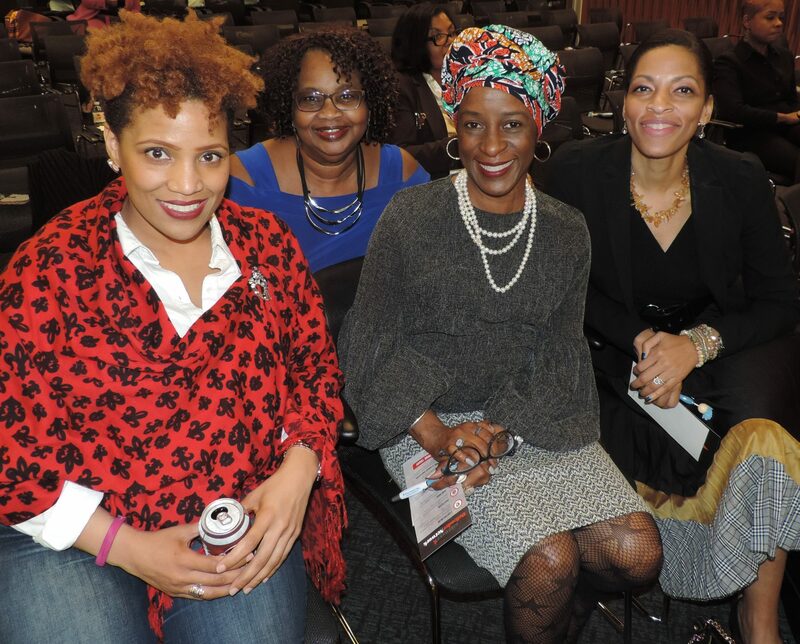 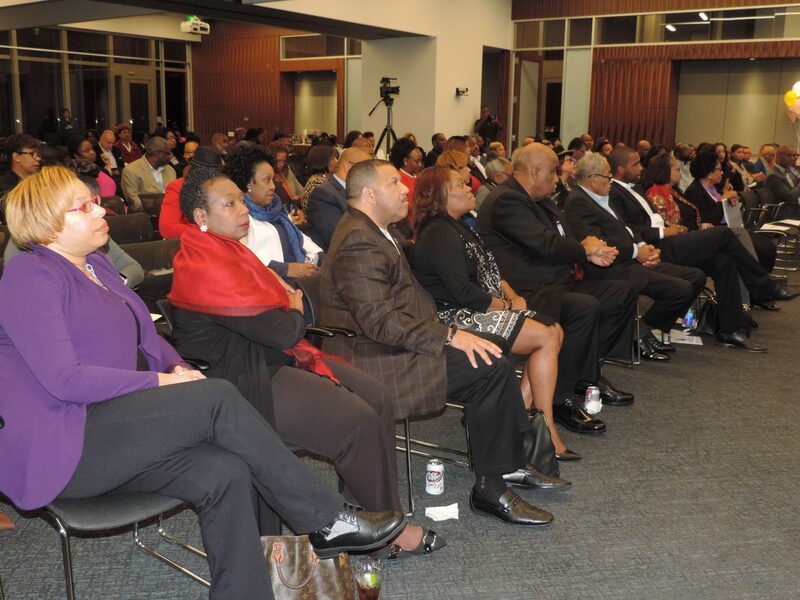 Attendees included Defender Network CEO and event moderator Sonceria Messiah Jiles, Amegy Bank CEO Steve Stephens, Dr. Victor Simms (Kelsey-Seybold), Roy Perry, Carl Moses, Dr. Donetta Goodall and Oscar Taylor (PVAM Foundation), Alan Bergeron, Willie Alexander, Cicely Parson, Peri Rideaux, C.B. Claiborne, Diane Maben, Stephanie Collier, Marian Tolan, Dr. Robert Ford, Jon Kamau Jackson, Niles Dillard, Reshonda Tate Billingsley, Margo Hubbard Williams, Marilyn Marshall, Clyde Jiles, Jodie B. Jiles and many more.